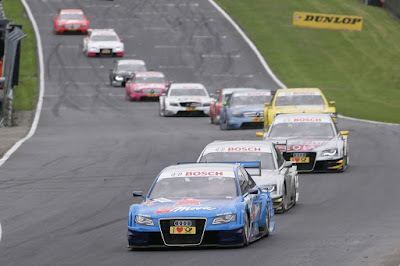 For those who were unable to watch the race live, we now have fresh clips from Sunday's DTM race at Brands Hatch. The clips include top 4 shootout qualifying, race-start and race finish with Timo Scheider taking third place. A big thanks goes out to DTMEnthusiast on YouTube for the videos. If you've enjoyed the previous videos and love DTM as much as we do, you should subscribe to this channel.